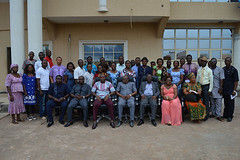 Another set of beneficiaries of the Delta State Government’s Skills Training and Entrepreneurship Programme (STEP) trained in Welding and Fabrication have received their starter packs to enable them to begin their enterprises. 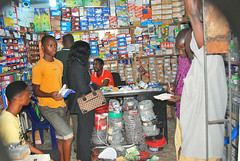 Presenting the starter packs to the beneficiaries on behalf of the State Government, the Chief Job Creation Officer, Prof Eric Eboh, stated that the handing out of starter packs to STEPreneurs in Welding and Fabrication after a six-month training is yet another milestone in the implementation of the job creation programme. 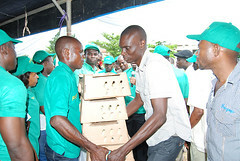 Represented by the Senior Special Adviser to the Governor on Agriculture, Hon. 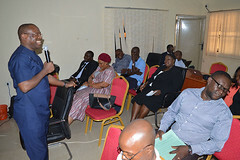 Julius Egbedi, Prof Eboh said quantifying the items in the starter pack is a clear indication that the State Government meant well for the youths, adding that what the State Government has given to them is a full-fledged starter pack to help them become successful entrepreneurs and employers of labour. He charged them to make judicious use of this life time opportunity and to shun all tendencies that could lead them to sell their starter packs. While advising them to uphold the vision of the State Governor, Senator Ifeanyi Okowa, in initiating the programme, he emphasized that the only way to show appreciation to the Governor is to succeed in their enterprises and to contribute their quota to the development of the state. 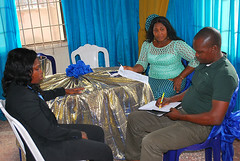 He disclosed that the Office of the Chief Job Creation Officer in collaboration with the Ministry of Agriculture and Natural Resources, Ministry of Commerce and Industry, Micro, Small and Medium Enterprises Development Agency, Delta State Development Agency and the Directorate of Youth Monitoring and Mentoring would organize a world class fair for YAGEPreneurs and STEPreneurs to showcase their products, challenging them to be innovative and creative so as to market their products and services to the world. The 79 beneficiaries each received a Job Creation Grant of a Welding Machine Bx1-315/Diesel Generator; a Welding Shield; a Pair of Welding Gloves; a Pair of Safety Spectacle; a Safety Boot; a Fire Resistant Cover-all; a Safety Helmet and a Lister Generator 10HP 7.5W and other microcredit items, a cash allowance of #100,000.00 and #10,000.00 monthly stipend for three months. 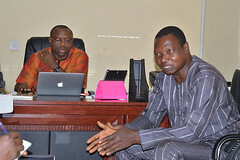 Speaking separately, the Special Assistant to the Governor on Agricultural Matters, Comrade Frank Ebikefe and the Special Assistant to the Governor on Special Duties, Mr Kelvin Obi Ezenyili, lauded the job creation initiative of the State Government, describing it as community participation in development. They enjoined the beneficiaries to meet the expectations of Governor Okowa by growing their businesses so as to employ other unemployed Delta youths. Responding on behalf of the beneficiaries, Efe Okoro, of Warri South Local Government Area, expressed their gratitude to the State Government for the empowerment programme with a pledge of loyalty to Governor Okowa and to put their starter packs into good use.